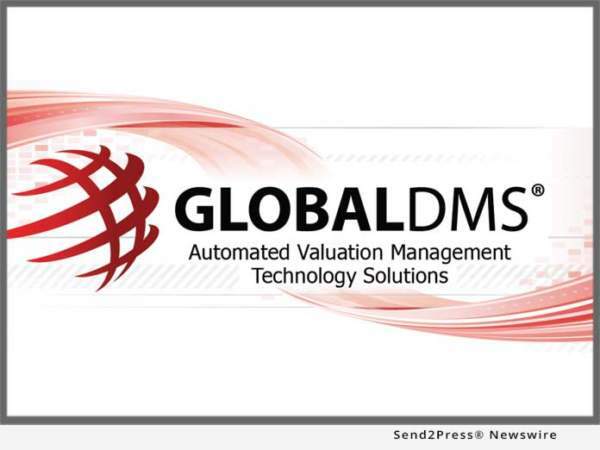 LANSDALE, Pa., Jan 04, 2018 (SEND2PRESS NEWSWIRE) — Global DMS, a leading provider of cloud-based valuation management software, announced that it has integrated with Black Knight’s LoanSphere Exchange platform, an online, collaborative technology that connects more than 25,000 mortgage industry service and solution providers. This integration provides a gateway that helps support easy, secure lender access to Global DMS’ comprehensive eTrac valuation management platform from their loan origination system (LOS), such as Black Knight’s LoanSphere Empower and LoanSphere LendingSpace LOS, which are integrated with LoanSphere Exchange. Founded in 1999 and headquartered in Lansdale, Pennsylvania, Global DMS is a leading provider of commercial and residential real estate valuation solutions catering to lenders, servicers, AMCs, appraisers and other real estate entities. The company’s solution set is cost effectively delivered on a software-as-a-service (SaaS) transactional basis that ensures compliance adherence, reduces costs, increases efficiencies and expedites the entire real estate appraisal process. The company’s solutions include its eTrac valuation management platform, eTrac WebForms, Global Kinex, AVMs, the MISMO Appraisal Review System (MARS), AMC State Regulations, ATOM (Appraisal Tracking on Mobile), and AMCmatch.com. For more information, visit the company’s web site http://www.globaldms.com/ or call (877) 866-2747.